View Part I of Coaching Parents here. Parental attitudes often funnel down to their kids even on the field. We recently shared a previous blog post on how coaches can teach parents to be “good baseball parents”. Read these additional nuggets of advice on the idea of how to coach team parents. By Cal Ripken and Bill Ripken, MLB greats and founders of RipkenBaseball.com. Parents can set a great example for their kids by cheering for the opposing team when there is an outstanding play or performance. Coaches can set the tone by shaking opposing players’ hands, helping them up if they are injured or telling them that they did something well. Most times parents will pick up on this and will join in. Soon, the players on the team will follow suit, giving the team a reputation for good sportsmanship. Like teamwork, winning and losing graciously is a lesson that carries over throughout our lives and can earn us a tremendous amount of respect from our peers. It’s no secret that many youth baseball coaches — and sometimes coaches up in to the high school level as well — are volunteers in need of assistance. Coaches should reinforce the concept of teamwork among parents, instead of supporting just their own children, by openly asking for assistance from parents at practices and games. Don’t ask for a large commitment. See if one parent of each child will volunteer to assist with one practice and one game. Assure them that you are not asking them to be Joe Torre, just to come to a practice and toss the kids some balls or to make sure the dugout is safe and remains under control during a game. The parents are more likely to take ownership in the team and to get to know and want to support the players if they feel part of it. Additionally, the players will see all the different parents pitching in to make their season a success – further emphasizing the power of teamwork. Addressing parents can be a difficult and sensitive issue for coaches. Failure to take control and set some ground rules before the season can be disastrous, however. Most times, if parents sense that the coach has a plan and understand that all he wants to do is to provide their children with the best possible experience, they will be much easier. However, there will always going to be parents who cross the line one way or another. Some parents continually cross the line. 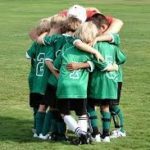 As a coach, as long as you set the parameters up front and explain why you approach things the way you do – even consider giving the parents something to sign off on – your chances of creating the atmosphere of teamwork, good sportsmanship, cooperation and support that you desire (among players and parents) are good. If you are not proactive, choose to avoid the parental issue altogether prior to the season, you will find it nearly impossible to successfully address the issues as they arise throughout the season. This can lead to public second-guessing, criticism and a lack of respect toward you from the parents. As we know, parental attitudes often filter down to their kids, which can create an atmosphere that is completely opposite of what you are hoping to establish. Cultivate parental attitude of encouragement, sportsmanship, and collective help, and watch as your players continue to become better athletes while they take away valuable life-long lessons. Cal Ripken, Jr. is baseball’s all-time Iron Man who played in 2,632 straight games for the Baltimore Orioles during his Hall of Fame career. Bill Ripken is a 12-year MLB veteran and an innovative Studio Analyst on MLB Network. Cal and Bill jointly founded Ripken Baseball after retiring from Major League Baseball. Now, they inspire athletes through the remarkable experiences they create — both online and at unique venues in Aberdeen, MD and Myrtle Beach, SC. You can learn more about all Ripken Baseball is doing to shape the game by visiting RipkenBaseball.com. Follow Ripken Baseball on Twitter at @RipkenBaseball or on Facebook at facebook.com/RipkenBaseball.